Motorcycles are a popular form of transportation, but can also be the source of devastating injuries. Although riding experience and the proper safety gear can help to decrease the likelihood of causing an accident, motorcycle riders are still at risk of injury, especially if other drivers fail to observe the rules of the road and drive in a responsible manner. At Winston Law Firm, we ride too. 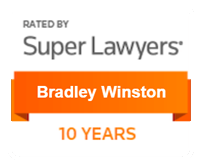 Attorneys Bradley Winston and Christopher Wigand all understand the freedom and enjoyment that comes from riding a motorcycle. 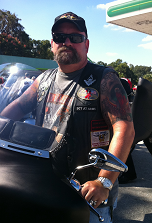 Motorcycle attorney Brad Winston has been riding motorized bikes since childhood. Like many riders, he progressed from lawnmower-powered mini bikes as a small child through dirt bikes, café racers in the 70’s and 80’s to almost all kinds of Harley Davidson and sport bikes. He rides regularly on a home built [rat] hard tail, a 2001 Yamaha FZR1000, and has many off-road vehicles, dirt bikes, and quads. If you or someone you love has been the victim of a motorcycle accident that was caused by the recklessness of another, the Fort Lauderdale motorcycle accident lawyers of Winston Law Firm can help. Contact our offices at (954) 475-9666 to speak to one of our qualified attorneys about your rights today. If the driver of a car, truck , or other vehicle fails to observe the posted speed limit or follow other rules of the road, he or she may put others at unnecessary risk of injury. Motorcycle riders especially face the risk of serious injuries if an accident occurs, and if the accident was caused by the reckless actions of another, they may be able to take legal action against those responsible. I ride the Yamaha when I want to go fast, and I ride the Harley when I go out with my friends. Almost all of my dirt bikes are at a place where we can ride safely across open land for days on end. I understand motorcycle crashes because I have been in a few of them myself. I know how accidents can happen. Even if the rider could have been going slower, or did something that makes him feel partly at fault, usually someone else, or the bike itself, has contributed to the accident. That’s where we come in. When a motorcyclist is involved in an accident with a car or truck, the result is almost always a serious injury. Our partners have handled many accidents involving drivers of motorcycles involved in accidents due to the negligence of others or a defect in the motorcycle itself. When handling these accidents, Winston Law Firm has helped many motorcyclists obtain financial compensation from those responsible for their injuries. 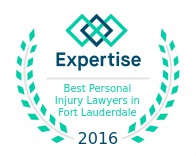 Each experienced Fort Lauderdale personal injury attorney at Winston Law Firm is prepared to fight for your rights and take action against the party responsible for your injury. Contact us at (954) 475-9666 for more information about our services and the many ways we can help.